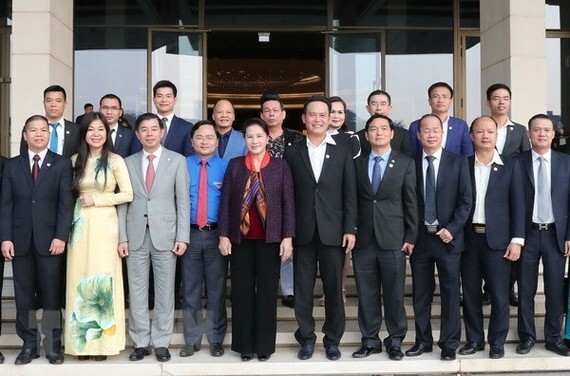 National Assembly Chairwoman Nguyen Thi Kim Ngan has urged the Vietnam Young Entrepreneurs Association (VYEA) to gather and unite members to help them develop. Speaking to outstanding representatives of the association in Hanoi on December 23, Ngan asked them to suggest and recommend to the Party and the State the right guidelines and policies to create a more favourable business environment for companies, encouraging the maximum dedication of young entrepreneurs to the country. “Domestic enterprises should strengthen linkages and actively cooperate with the outside world in order to create strength and resources for businesses to develop strongly and sustainably,” Ngan stressed. Noting the impact of the Industrial Revolution 4.0 on the economy, the NA leader said in the process of integration and development, it was impossible to stand outside. She hoped young entrepreneurs, with enthusiasm, passion, dare to think, dare to do, and take the advantages of opportunities and achievements of science and technology. She expected young entrepreneurs would contribute to the State with reasonable and optimal solutions to bring back efficiency and success. Emphasising on the basis of the Constitution and the legal system, Ngan asked enterprises to operate their business with high respect to law. 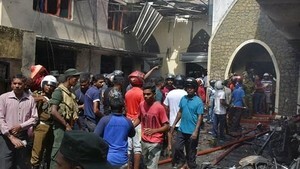 And in real life, if any problem arises, they must propose to the relevant agencies to remove hurdles. Ngan said the NA would continue to improve the legal system and accompany the Government to improve the business and investment environment and create the best conditions for enterprises to deliver equality and sustainability. VYEA Chairman Dang Hong Anh said one of the biggest imprints in the association’s operation was the successful organisation of the Sao Vang Dat Viet (Gold Star) award. Over the past 15 years, the award has honored more than 2,000 typical brands and products. "Sao Vang Dat Viet has become a prestigious award, an important contribution to enhancing the position of Vietnamese brands and businesses in international economic integration, which is a proud symbol of Vietnamese enterprises,” Anh said. On December 23, 200 best businesses in the country received the Vietnam Gold Star Award 2018 during a ceremony in the capital city of Hanoi. These firms generated more than VND912 trillion ($39 billion ) in revenue and contributed over VND72 trillion ($3 billion ) to the State budget this year. They posted after-tax profit of about VND72 trillion and created jobs for 417,000 people. According to the association’s report, the member enterprises are creating jobs for more than 3 million people, the annual total revenue is more than $25 billion and contributing to social activities hundreds of billions of VND. Deputy chairman of the association Tran Anh Vuong said there was currently a Government decree on supporting industry development. He hoped the NA would soon issue a Law on Development of Supporting Industry for further production development. Vuong said the State should have policies to mobilise money sources in residents to invest in economic development as this was a great capital source.